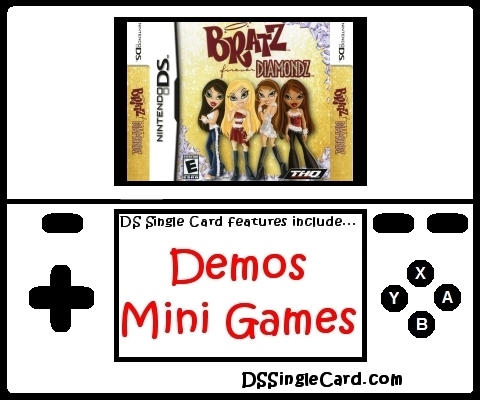 Alternate Names: "Bratz DS", "Bratz Forever Diamondz", "Bratz Diamondz"
The Bratz are back! This time they're on a nationwide search for the hottest young fashion designers. Their road trip across America takes the girls on a wild race where high fashion and out of this world encounters make for stylin' adventures. Loads of awesome new mini-games! Train your pet with your own voice!